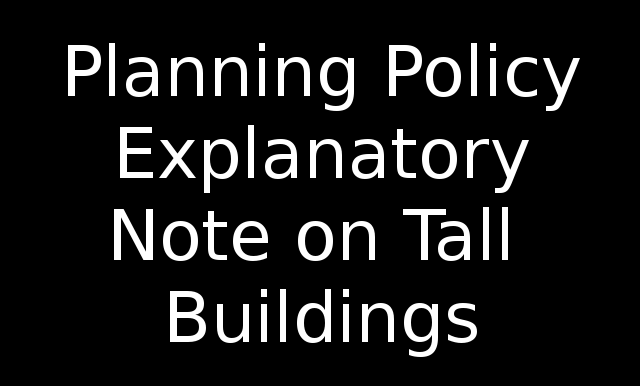 On 10 May 2016 LBTH Cabinet were asked to agree the Policy Position Statement which is intended to clarify the policy on tall building development in the Borough – more details here – Full tall buildings explanatory note here. Short video above of relevant part of meeting. 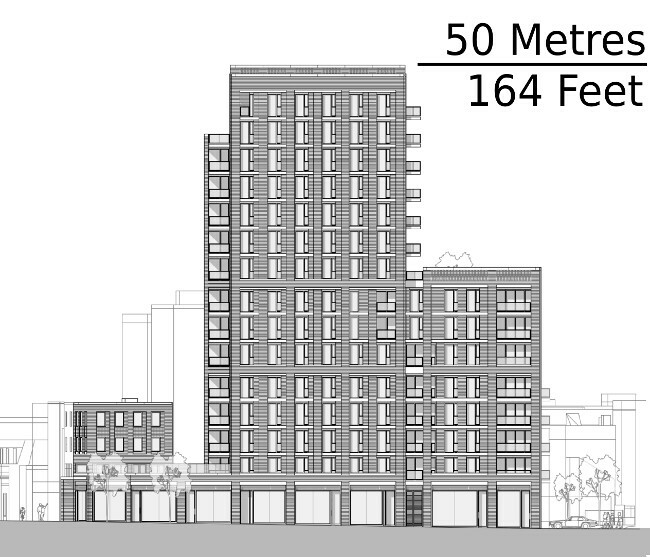 The building planned for Mile End Road is a 15 storey building and will be to the right of 8 storey Wentworth Mews (No 8 on picture below) & behind the telephone exchange. 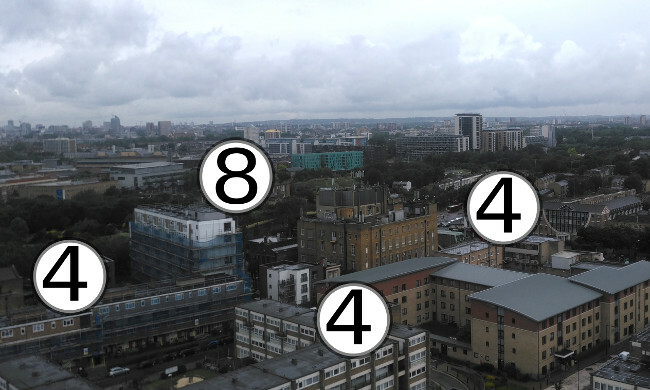 All other buildings in the area are 4 storeys with the exception of Ennerdale House. At 18 storeys Ennerdale provided 90 affordable homes for local people set in a large area of open space. This open amenity space has over the last 10 years been given for nothing to Eastend Homes who used the land to build private flats.